As a brand new charity in Unitas Youth Zone offers a chance to make a real difference in the lives of thousands of young people. If you have the energy, drive and enthusiasm to be part of this exciting work coupled with the skills that our roles require, please apply TODAY. To apply, download and complete the relevant application form and email it to applications@unitasyouthzone.org. 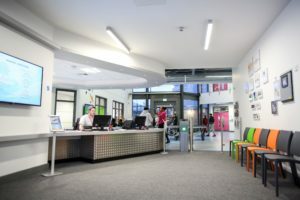 We are looking for a highly motivated person, passionate about Youth Work who wants to see the lives of 12-19 year olds and those up to 25 year olds with Special educational needs or disabilities (SEND), transformed though access to an exciting, fun and engaging Senior Youth Zone Programme at our amazing Centre. For a full role profile, please, click here. To apply, please download the application form and email it to applications@unitasyouthzone.org. We are looking for a committed Youth Worker who can work and create positive relationships with young people and who has a natural ability to implement ice breakers, games or challenges for every occasion. The “rec area” is the heart of the Youth Zone and you will be passionate about creating a fun, positively challenging and energic environment. 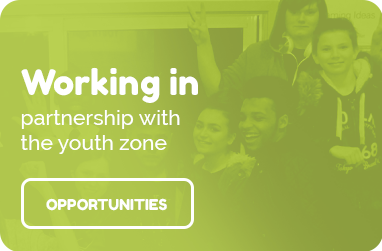 We are looking for someone who is passionate about the health and wellbeing of young people and can use their catering and management skills to ensure all young people who attend Unitas Youth Zone have access to affordable, healthy and varied meals. 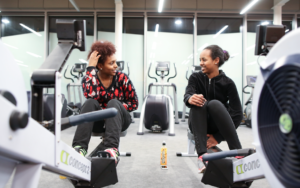 A truly exciting and developmental post to initially work alongside a highly experienced Major Donor Fundraiser to successfully cultivate and steward partnerships with a value of circa £1.3m a year – which funds the Youth Zone’s annual operating costs including core activities and programmes. For a full role profile, please click here. Please note – CV’s without cover letters will not be accepted. 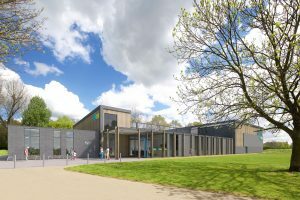 As a critical member of the team you will contribute to ensure that a great first impression is always given to all visitors and that every area of the Youth Zone is safe and clean to allow a first class youth provision to be provided at all times. Sports and outdoor pursuits, alongside the Arts and Youth Work, is at the heart of Unitas’s offer to young people. The sports and outdoor offer at Unitas is wide ranging and as a member of the Sports team, you will be key in ensuring young people have access to an exciting and engaging programme of adventurous activities that will be challenging, stimulating, fun, engaging and developmental. 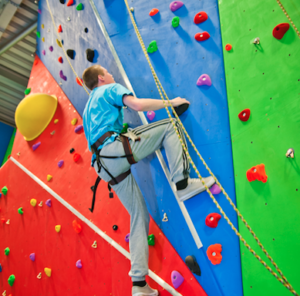 You will ensure the climbing wall is well used and maintained to a high standard by offering young people safe, exciting and challenging routes to climb in a friendly and welcoming environment. You will provide supervision and advice to young people and support and guide Unitas Youth Zone’s staff and volunteers. Unitas Youth Zone will provide a holiday club for young people aged 8-12 years old which runs from Monday to Friday (8am to 6pm) during school holidays. As a holiday club worker, your role will be to support and encourage all young people attending the holiday club, to take part in the range of activities and opportunities available to them. For a full role profile, click here. 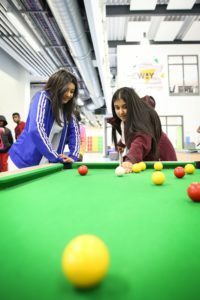 Unitas Youth Zone is open to young people 7 days a week, evenings and weekends and as such, Unitas will become a second home to many young people. 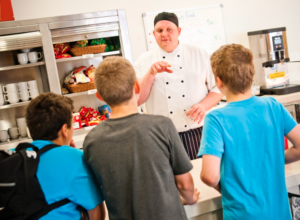 The café and canteen area are an essential part of Unitas Youth Zone’s offer to young people and as the catering assistant, you will play a key role in cooking inspiring and healthy dishes to serve to young people, as well as providing a warm and welcoming environment. Youth Work, alongside sport and art is at the heart of Unitas Youth Zone’s offer to young people. Unitas’s Inclusion (Disability) Youth Work team are key to supporting all young people with disabilities to reach their full potential as well as providing young people with someone to talk to and to encourage young people to engage, on their own terms, with the wider offer and programme at Unitas. To promote a “Young People Can” ethos. Young people also tell us that all opportunities should be open to all young people. This role is based in the health and well-being room, which is also equipped with health and beauty equipment and stations. Here you will work with all young people to provide a wide range of opportunities from informal education sessions, health projects along with traditional health and beauty activities including male grooming. Do you want to use your artistic and creative talents to make the lives of young people better? 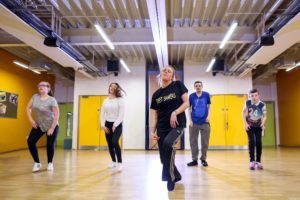 We are looking for someone who is as passionate about performing arts and dance, as they are about growing and developing young people in nurturing their talent. 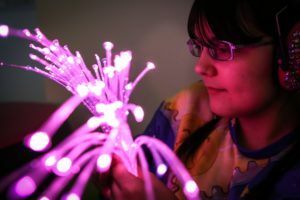 Are you vibrant, creative and committed to supporting young people and do you have a range of relevant skills to offer young people? 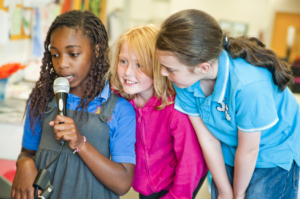 If you can’t wait to see young people perform for the first time, then this may be the role for you!